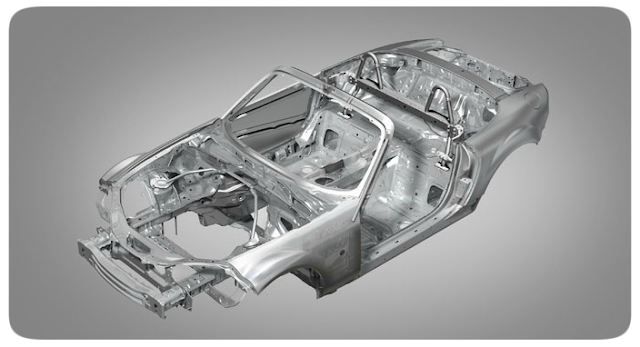 One of the major differences between the 3rd generation MX-5 and the earlier cars is the improved structural strength and crash protection the new body design provides. The NC models feature steel roll hoops and reinforced steel pipe a-pillars from the factory. 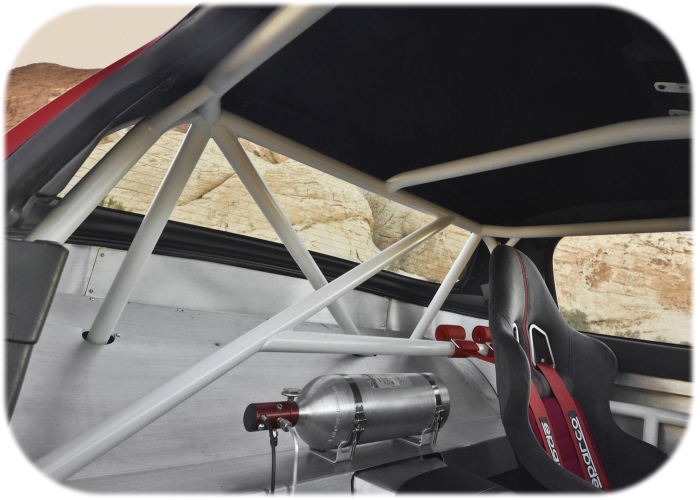 The combined rear roll hoop & crossmember structure is bolted to the car body at six points just behind the seats and provides a degree of side impact and roll over protection. Here's a look at the factory bar's design and construction. Despite these safety advances over the previous generations, there is still room for improvement. Since factory designs are always a compromise between cost, performance, and weight; there will always be a gap that can be filled by the aftermarket. 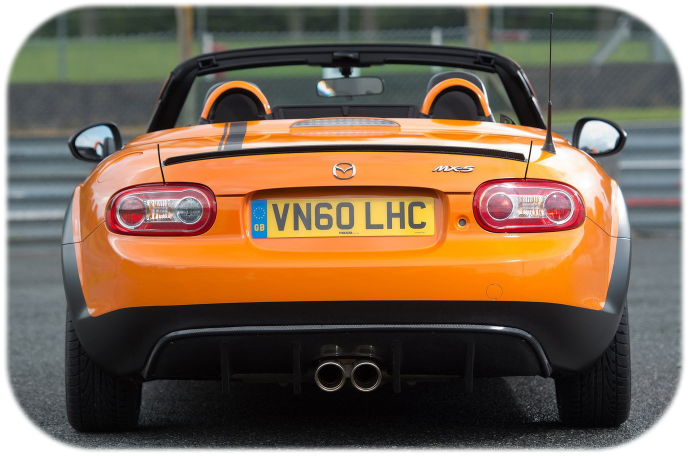 Thanks to the popularity of the MX-5 and it's enduring appeal as an affordable track car, there are several aftermarket options. The additional rigidity and protection the more substantial rollcages provide will be useful on track and though there is a weight penalty of filling the cabin with metal bars, the improvement in handling may make up for this. 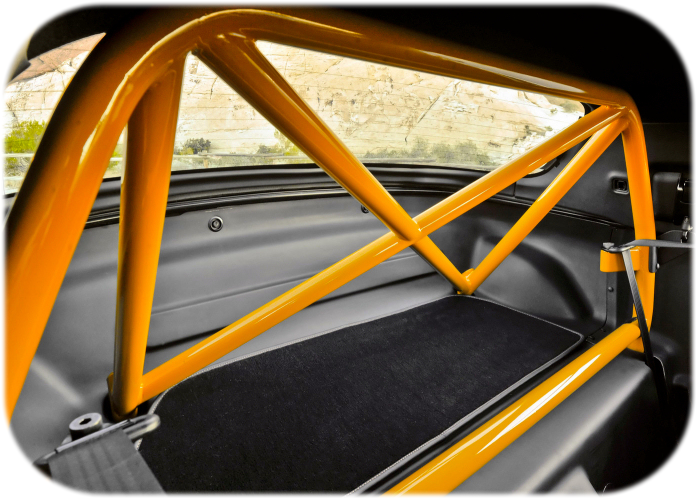 If you're thinking about fitting a roll cage to a road car, consider the practicalities of clambering over door bars and remember to add padding to the bars for your own safety. Also think about the impact the additional weight and NVH (noise, vibration, harshness) will have on the driving experience. If you are one of the many owners who feel the factory protection is inadequate and want something stronger; or are thinking about taking to the track and need a full cage, have a look at some of the examples below. The MX-5 Aori race cars were based on the coupe model with the roof mechanism removed to make way for this hefty looking rollcage. 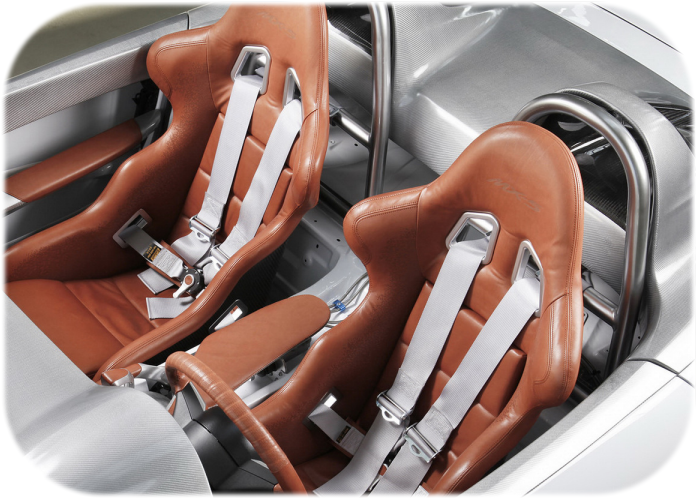 The Super20 concept car had this neat roll bar install. This design of bar requires the roof to be removed, but you can still use the detachable hardtop. 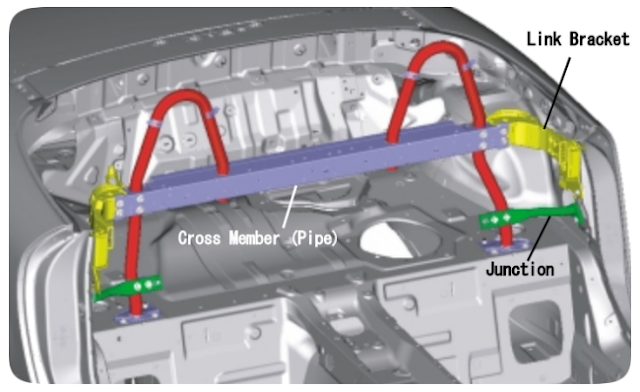 The lower brace car could be used as a harness bar. 2012's Super25 concept car went a step further than the Super20 design. This concept was fitted with a full rollcage with many extra cross braces and door bars. 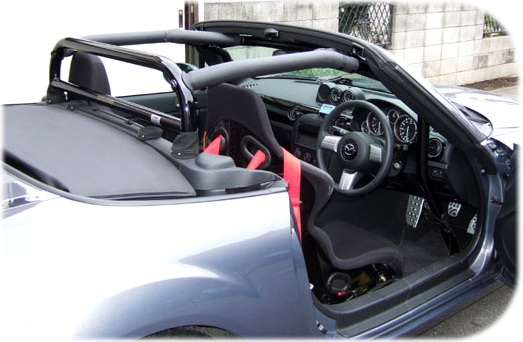 Again the convertible roof was removed with the cage designed to be compatible with the detachable hardtop. 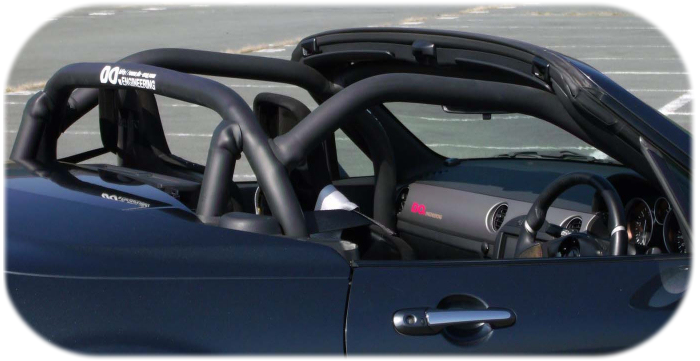 The MX-5 Superlight didn't have a roof at all, but it did have a twin hoop design roll bar. This matte silver bar was fitted in place of the factory part and was also braced to the rear from the centre of each hoop. Possibly not the strongest bar but certainly one of the best looking. 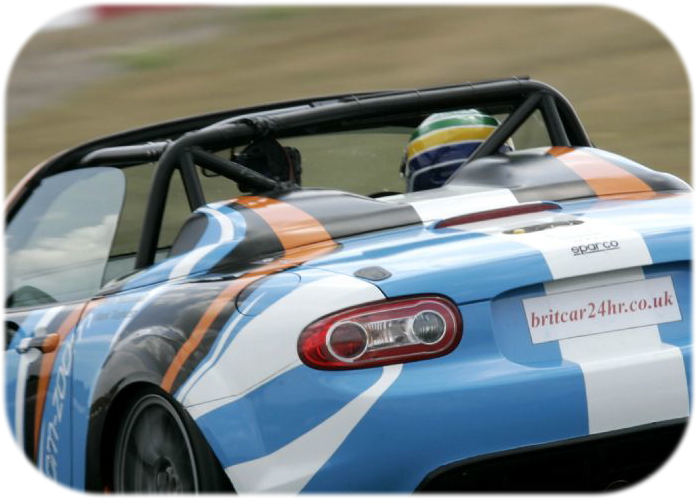 The MX-5s that raced in the Britcar Championship were fitted with this roll cage. They didn't have to worry about a roof so the bars height could be maximised. 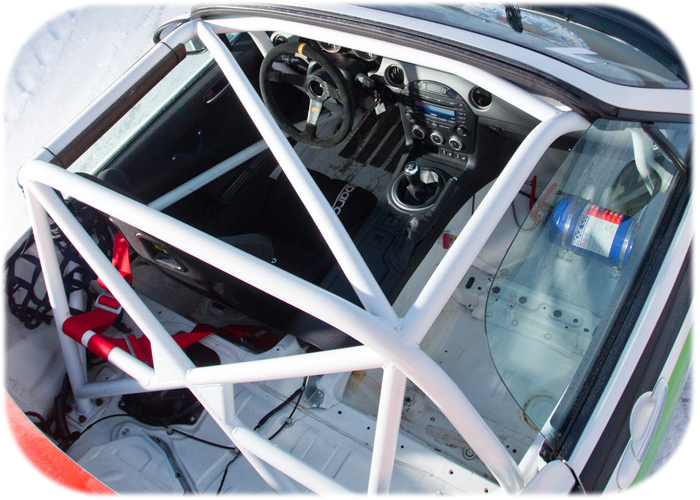 The stripped out GT4 MX-5 built by Jota Sport was fitted with this FIA approved roll cage. 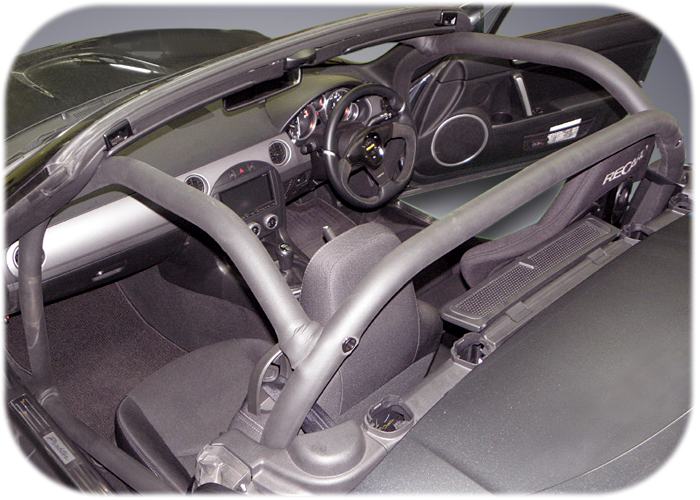 The MX-5 GT concept car made a feature of the standard roll bar. The plastic trim was removed and the hoops were painted body colour. No extra protection, but it does look smart. This aftermarket rollcage from Do-Engineering has carefully designed bars allowing it to fit under the retractable hardtop. There was a factory rollcage offered by Mazda in Japan. It was intended for use in the Party Race series and was a Mazdaspeed option on the NR-A model. 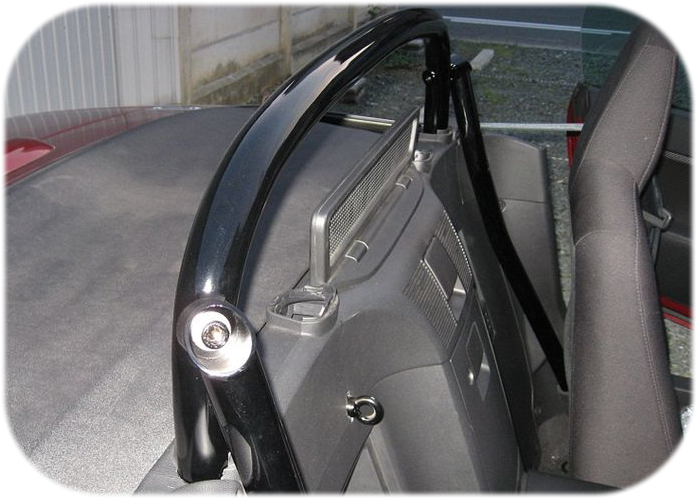 This part completely replaces the standard hoop bars using the same fixing points; it includes a lower harness bar and works with the hardtop & soft top. The part number for this cage is QNC1-53-660. This aftermarket cage is from Okuyama Carbing, it is another design compatible with the coupe's retractable hardtop. This simple hoop design bar made by Ito Racing Service includes a harness bar and additional bracing to the floor. 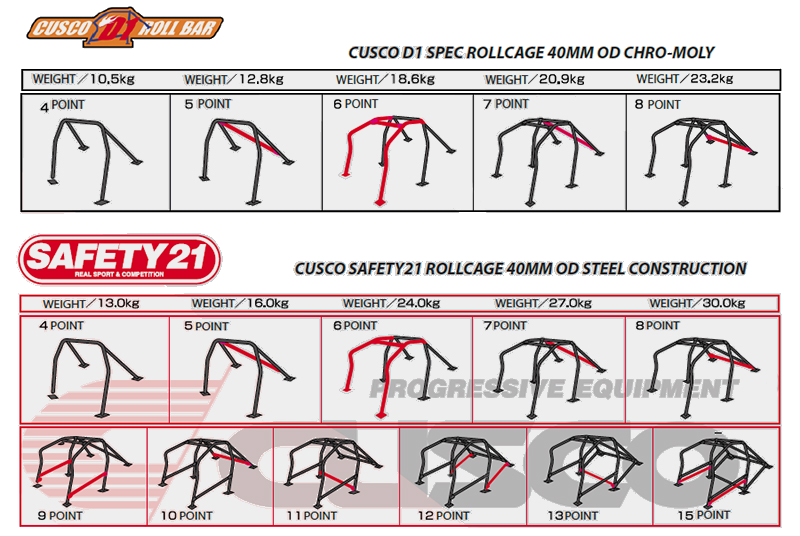 Cusco have a good selection of roll bars and cages for the NC. They have two main brands - D1 and Safety21. The D1 product line is more for street use and is made of lightweight chromoly with the Cusco blue finish. 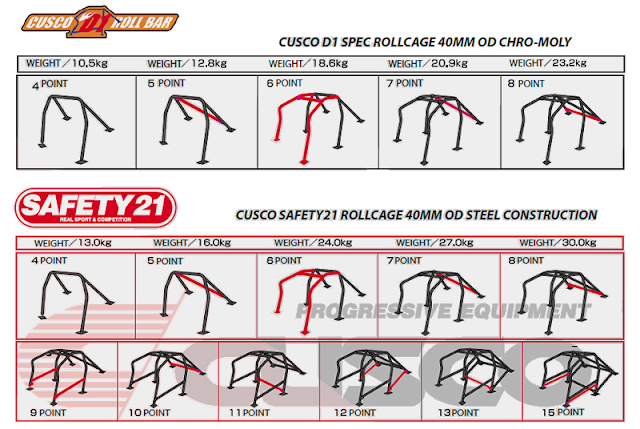 Safety21 are more competition oriented and are made from black painted steel.